Purple drank liquor which also famous as sizzurp is a new kind of drug that put our kids into a dangerous health risk. No doubt these days this harmful drug has been getting so popular among the young kids. This so calls Purple Drank has been promoting quite often through various Hip-Hop songs, some active social networking site and by some attractive online videos. Presenting this as a way of modern glamorized drink makes this drug even more attractive and lucrative to the young population. But the real question is how much we know about the risk of having this drink regularly? Now is the time to get serious and think about the future impact of this crazy killer drink. Meanwhile here are some tragic incidents that already occurred due to this so call fun cocktail mixer. For example, there are many celebrities out there who once love to herald this killer drink are now badly suffering from its dangerous health consequences. You probably heard American Rapper Lil Wayne who had to hospitalize was also due to overdosing this purple drank. 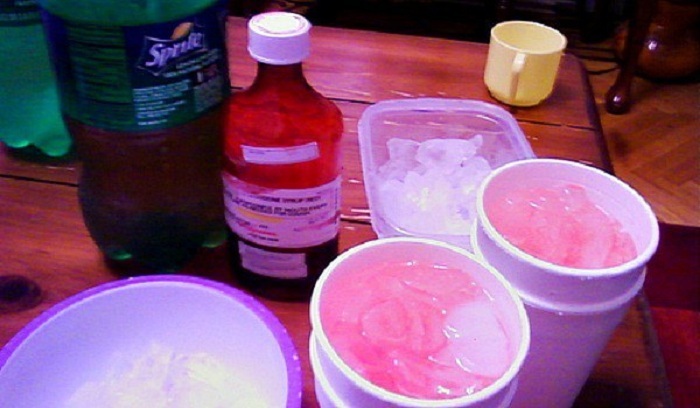 Purple drank was also the reason behind the tragic deaths of DJ Screw back in 2000 and the rapper Pimp C in the year 2007. But it’s shocking to see still now this killer drug component is often presented toward us as a harmless fun drink. The actual truth is quite different. We can consider this drink as the most dangerous addictive drug this time around. Well, let’s take a look at the reason why this sort of purple color drink is getting so much popularity. You already know that this purple drank mostly come up with some delicious and harmless ingredients such as soda and Jolly Rancher candies. But the drink starts to get worse when they add a cough syrup which contains component like codeine in there. For your better understanding let see what’s sort of thing codeine produces. It can generate instantaneous and dissociative feeling between the mind and the body. The National Institute on Drug Abuse declares this component often act as an addictive substance. So it’s your responsibilities to deliver the awareness about the serious health risk that might damage someone’s entire life.